These hand stuffed olives with whole almonds are salty but crunchy. 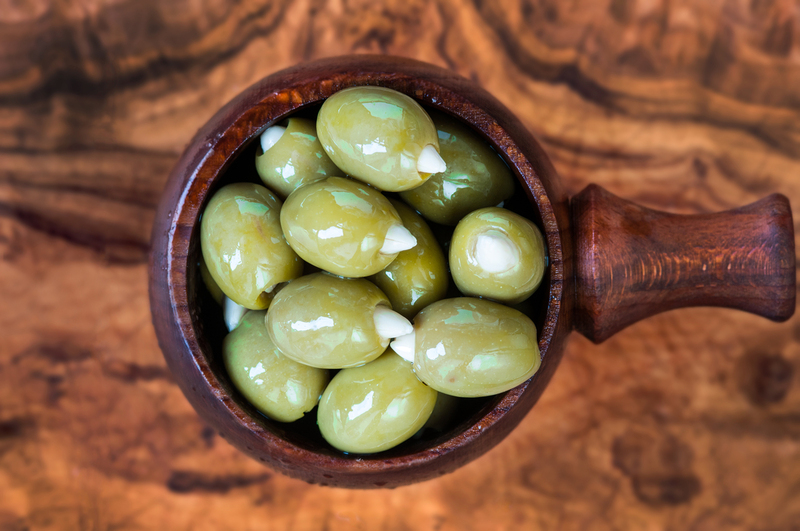 One of our favourite aperitif olives. Stuffed ALMOND (NUTS) Olives (92%), Rapeseed Oil.